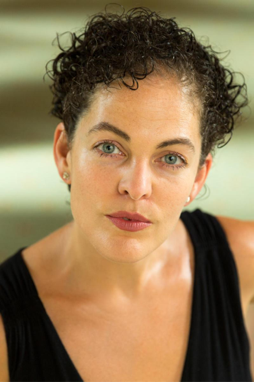 Shara McCallum was born in Jamaica to an African Jamaican father and a Venezuelan mother and moved to the United States with her family when she was nine. She earned a BA from the University of Miami, an MFA from the University of Maryland, and a PhD from Binghamton University. McCallum is the author of four previously published poetry books: The Face of Water: New and Selected Poems (Peepal Tree Press, UK, 2011); This Strange Land (Alice James Books, US, 2011), a finalist for the OCM Bocas Prize for Caribbean Literature; Song of Thieves (University of Pittsburgh Press, US, 2003); and The Water Between Us (University of Pittsburgh Press, US, 1999), winner of the Agnes Lynch Starrett Prize for Poetry. Recognition for her poetry includes a Witter Bynner Fellowship from the Library of Congress, a National Endowment for the Arts Poetry Fellowship, a Cave Canem Fellowship, inclusion in the Best American Poetry series, and other awards. Her poems and personal essays have been published in literary magazines, anthologies, and textbooks in the US, the UK, the Caribbean, Latin America, and Israel and have been translated into Spanish, French, and Romanian. McCallum’s dramatic reading drew me in. But the strength of her own words are admirable, at times lapsing into her Jamaican patois. As if this weren’t magical enough, her poems slip in and out of time, yet remain timeless. She includes the mystical and commonplace. She writes of all life’s maddening contradictions matter-of-factly, without explanations, reflecting real life. Madwoman does not step neatly from one age or stage to the next; her contradictions and paradoxes are often stirred in with rewritten myths, life challenges demanding one’s need to adapt and push through living, doing what has to be done, especially for a woman of color. One can, of course, make a search of all the wonderful reviews and interviews available on the internet (Consider reviews listed at the bottom of http://www.peepaltreepress.com/books/madwoman .) and so I intend only to introduce McCallum to readers unfamiliar with her work. The persona, Madwoman, marginalized, sane, insane, and, more likely, multiple beings at once, reoccurs, scattered throughout the book, and remains an engaging thread that confounds with her many anomalies. At one point, she is “the madwoman now being all women” (27). She is addressed by various voices from multiple intersections: “Madwoman as Salome”(8), “Madwoman in Middle Age” (24), “Why Madwomen Shouldn’t Read the News” (41), “Lot’s Wife to Madwoman” (51). A recurring motif is memory; what gets remembered, by whom, and why. In fact, McCallum’s prologue poem, “Little Soul” after Hadrian, opens the possibilities of memory’s role in, or lack of, influence. Nothing sentimental here, no, rather bruises, dirt, howling, bone and ruin that linger. At best, the truth will confront: “Friends,/do you remember when we were young?/Life plump with promise and dreams?/Me neither” (41). Memories can “become unbearable” (12). But answer our life’s questions? One voice asks midway through “Madwoman Apocrypha,” “Shouldn’t the death of ten thousand matter/more to you than that of just one person?” and another answers, “Yes. But I’m afraid grief isn’t math” (75). “Insomnia” speaks: “Dear one, why do you assume/there are lessons?” (64). Yet even in the grittiness of life, McCallum gives us some beauty and innocence, but not much. “How else chart/a course than the way a child//plucks flowers from a field—/the eye compelling the hand to reach” (11). Even “Death” waxes poetic, if absolute: “…for I am in you/as the river is inside the stone”(56). An excerpt from this poem is difficult to layout, the page is broader than the regular page, but let me try, in order to show these voices intertwining. Q: Why do you make the past a fiction? A: Everything is a wager. Duppy know who to frighten. Q: What do you mean “a wager”? a sifter and a counter of grains. but her voice and the dark. This last answer, above, has no question before it. The poem attempts to imitate the many voices each of us may have to confront within ourselves, even when there are no easy reassurances. 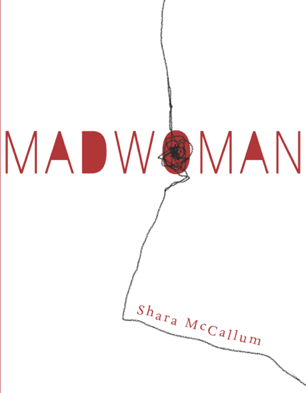 Madwoman may be semi-autobiographical (most poems are), but, certainly, it reflects those voices living on the margins of society, voices full of authenticity, truth and lived experience but which are often unheard. Shara McCallum reminds us they are worth hearing by bringing us into their complex world. Find her work and read. And so I give McCallum the last word. are self referential. Or else none of them are. Melva Sue Priddy lives near Lexington, Kentucky, with her husband. In addition to reading and writing, she enjoys gardening, sewing, and grandmaw-ing. She holds an MFA from Spalding University and has published work recently with Still: the Journal, Friends Journal, Poet Lore, and LexPoMo..